PORTOS offers three sizes of boxes for garage roller gates, depending on the size of the gate hole. The box of the rolling gate allows to leave free space under the ceiling and thus increases the functional garage area. The maximum available width of PORTOS gates is 4.5 m.
The standard equipment of the PORTOS rolling gate includes: box (250 mm, 300 mm or 350 mm with a console), aluminium profile (PA-55 mm or PA-77 mm) produced by our company in colours that perfectly match the tastes of our customers and aesthetically match the colour of the building. The gates also contain protecting elements in the form of hangers and interlocks, and an inertial brake in the profile PA 77 mm. 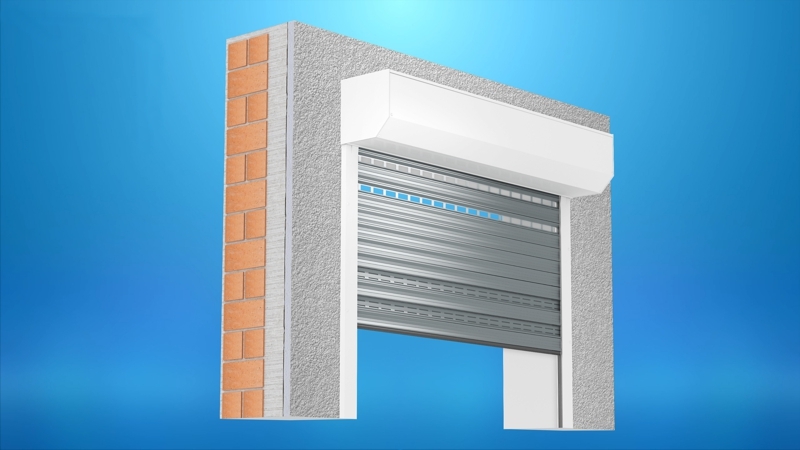 It is possible to install the rolling gate with a glazed profile or with a ventilation hole that will enable an inflow of light and air circulation in the garage. The company also offers drives to the gates and a dedicated control system. Our gates are consistent with the requirements of European Standards. 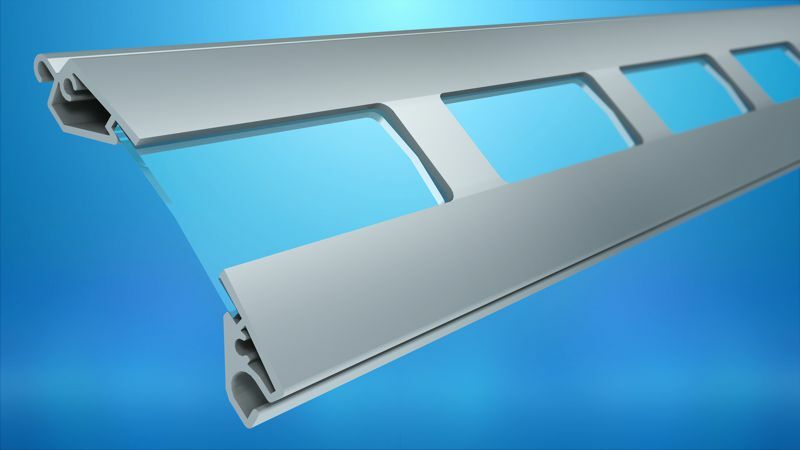 Within the mechanism of a roller door the hangers function as an element that connects the octagonal tube with the roller gate profile. Two types of hangers can be found in the market: steel hangers and so-called blocking hangers. The steel hangers consist of a metal elastic arm with a plastic element that locks the hanger in the roller gate profile. 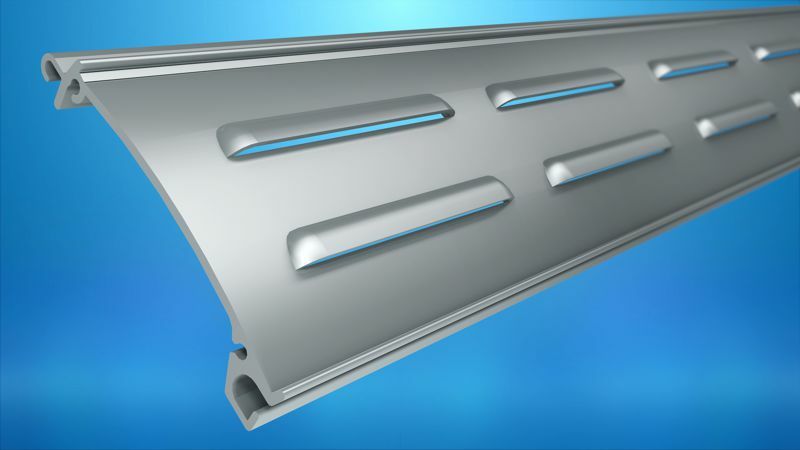 As opposed to the steel hanger, the blocking one consists of a few plastic segments that enable to lock the profile in a fixed position. After closing the roller door the profile is stopped in vertical position ( straight from bottom to the top ). The motor, located inside the tube, automatically disables any movement of the tube when it is not working. When using a steel hanger with a metal elastic arm, there is a possibility to lift the roller door profile, even though the motor is not working – the arm of the hanger provides almost zero resistance to the roller door profile. 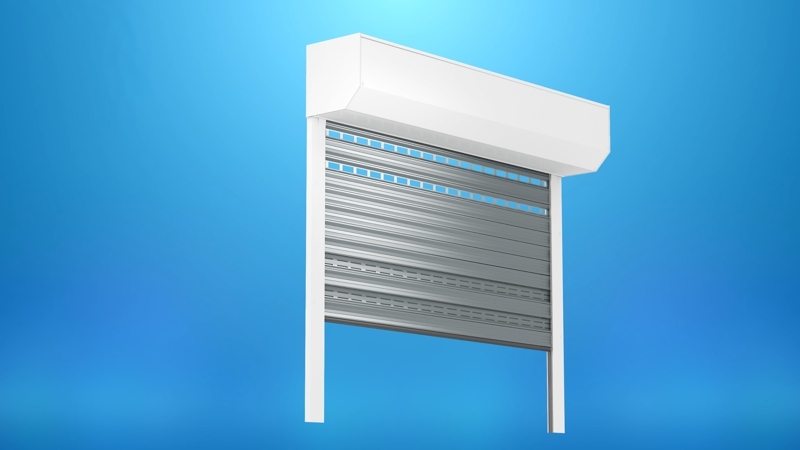 With the right amount of profile in correspondence to the height of the roller door combined with the use of rigid blocking hangers a customer can be certain that it would take huge force to lift the roller door profile from the outside. 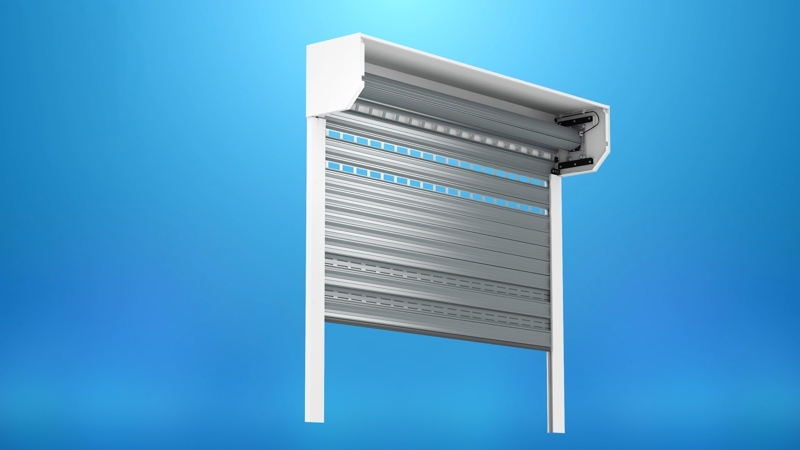 A tube with motor installed blocked in the lower limit position together with the use of rigid blocking hangers makes it almost impossible to lift the profile and access the building through the roller door by any unwanted person.